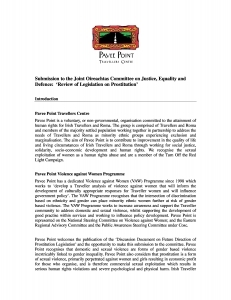 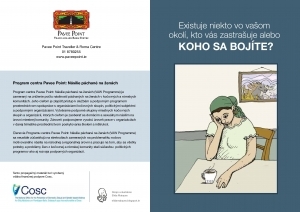 Designed for service providers and policy makers, this booklet provides a context for understanding experiences of domestic and sexual violence among Roma women and presents good practice principles for policy and practice. 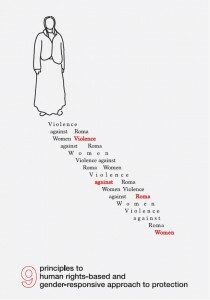 Does Someone Close to you Make you Feel Scared or Afraid? 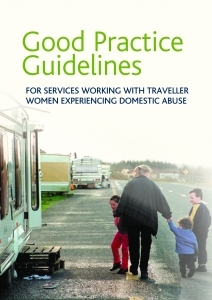 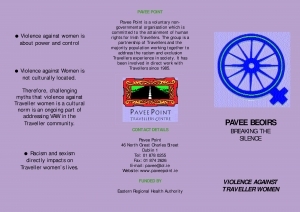 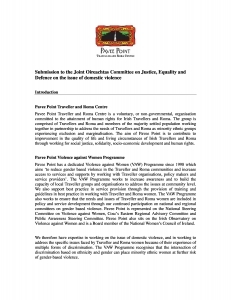 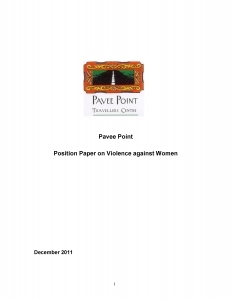 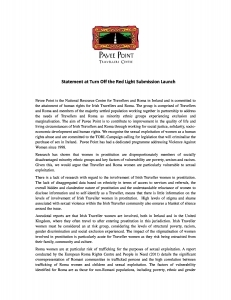 This publication was created to increase awareness of the cultural realities and differences faced by Traveller women experiencing domestic violence. 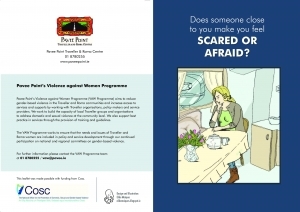 This brochure sets out to challenge some of the misconceptions associated with minority ethnic women experiencing violence and to provide agencies, groups and professionals with information on appropriate responses to working with women from minority ethnic groups to address violence against women. 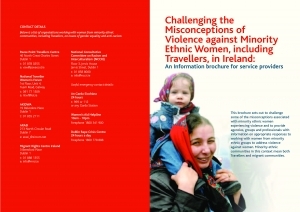 Minority ethnic communities in this context mean both Travellers and migrant communities.